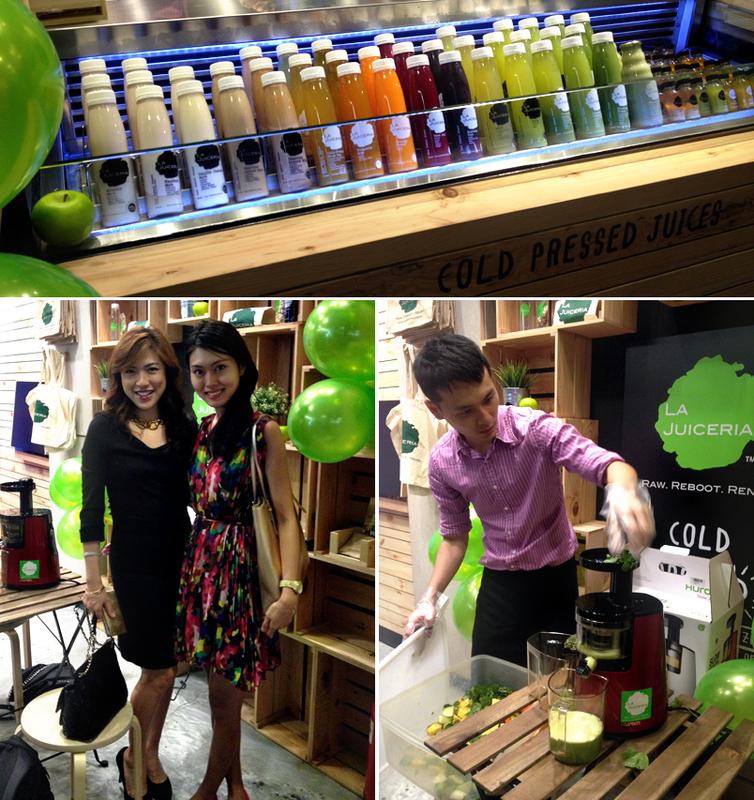 If you’re wondering what Miss Universe finalists do besides looking pretty, well they promote cold press juices. As you might have known, my sister, Amanda Khong, is one of the finalists in Miss Universe Malaysia 2015. 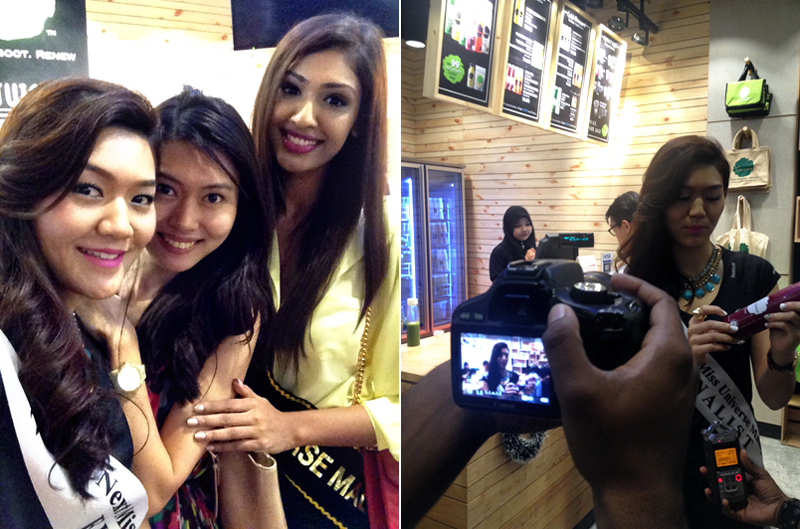 When she told me that Miss Universe Malaysia Organisation (MUMO) organised a Meet & Greet Session at La Juiceria, I know I had to go! That’s especially I knew Anabella, the founder of La Juiceria from a show at Bella NTV 7 and had been wanting to visit her shop. Ever since she beat thousands of girls and became a Miss Universe finalist, I’m so proud to share the same genes with my sister. Though nobody agrees that we look alike (?!). 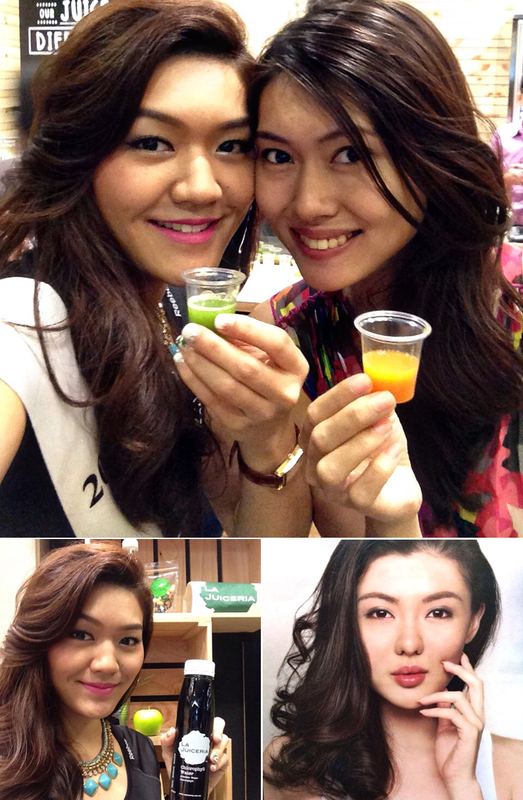 Many people told Amanda that she looks like Carey Ng, Miss Universe Malaysia 2013, instead. Amanda told me a funny story. When she stayed under one roof with the other finalists, whenever she walks in and out, she gave many of them a shock; they thought Carey Ng came in for a surprise visit! haha. Here are some of her good friends: Vanessa, Pauline, Ashley, Jenny and Meera. When she left for the camp, I was not worry at all if she’ll fit in. She has always been well loved by her friends. The other finalists told me that she’s the fashion guru in the camp! (I’ll like to think that she got her fashion sense from me. haha!). Yup. That’s one of the many things a Miss Universe do. She has been so busy with all the activities on top of her work. To find out more about her Miss Universe journey, follow her at her Facebook page now! p/s: Standing at 5 feet 6, I had never felt short in my life. Today, I felt like a dwarf. All of them wear six inches high heels! Though I’m sure they wish they are in my shoes (pun unintended).